Over a year ago, Felix Baumgartner wowed people everywhere by leaping off a balloon that had taken him to stratospheric heights. He set three world records in one jump: first, for the highest manned balloon flight, second, for highest falling distance, and third, for falling speed as he broke the sound barrier — the first human to do so outside of a vehicle. 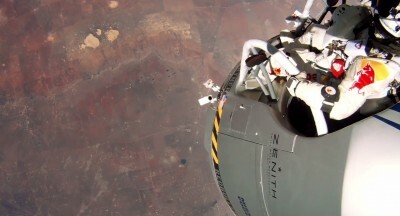 GoPro has finally released footage from the cameras attached to Baumgartner’s suit — I’m not sure why exactly it took so long for this to come out — but it’s some freaking amazing footage. Watch the entire drop below!